Nearly 100 spectators enjoyed free admission to an action-packed show last Sunday at The Regional Equine & Agricultural Centre of Huron (REACH) and organizers are busy preparing for a second event to be held this Sunday, March 10th. 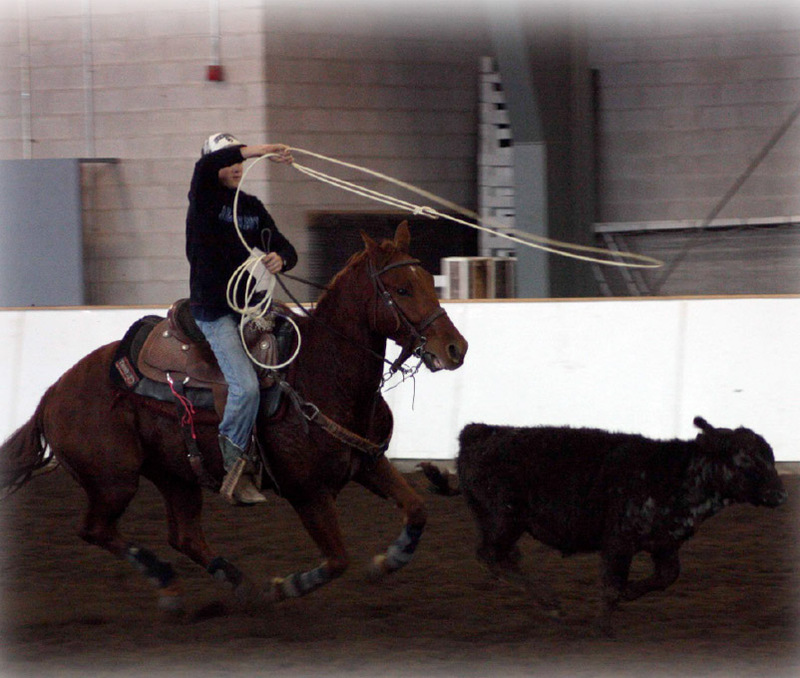 Where else around here can you take in an entire day of barrel racing, steer wrestling, and roping? Organizer, Ed DeWetering says, “The purpose of this event is to help amateurs get started. Participants are given three chances to complete each event as opposed to the one chance they would get at an international rodeo”. DeWetering has helped over 150 people from all across Canada get their start in the World of Rodeo. Please call Ed at (519) 668 4315 if you want to get involved or for more information.